Imbabala is the perfect destination as it is close enough to visit the Vic Falls but at the same time far enough away from the hustle bustle so one can relax and enjoy the wildlife that roams between Chobe and The Zambezi National Park. 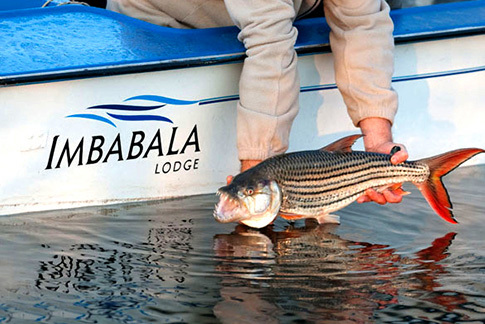 Imbabala Zambezi Safari Lodge was originally built in 1987 on the banks of the Zambezi River and was opened in 1988. Imbabala is small, modest safari camp where guests become friends whilst experiencing Africa. 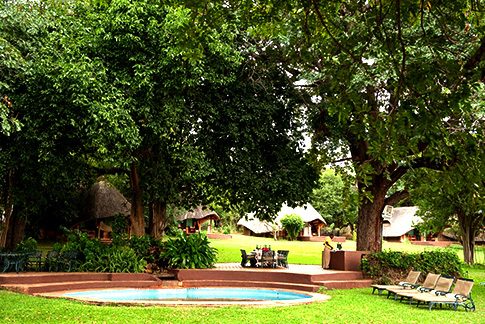 Imbabala offers accommodation for 20 guests in 9 individual standing stone thatch chalets. There are 2 double chalets, 6 twin-bedded chalets and one family chalet. Each chalet has its own en-suite facilities and spacious verandas looking out over the Zambezi River. Main thatched area consists of a bar, lounge and dining area.